I really liked The Diabolic when it released last year, and even though it was planned to be a standalone, I was one of those that wanted more from this world. Then, when it was announced that it was going to be a trilogy I was a little worried that she was trying to stretch it too far. Sure, I originally thought that The Diabolic deserved more that one book, but it felt like she hadn’t left much room for the story to continue. I was completely wrong. The Empress got off to a slow start for me, but that is possibly because I wasn’t giving it my full attention. Once I dove in it felt like the most twisty, heartwrenching book I’ve read in a long time. Then Kincaid threw in the theory of relativity and my nerd heart sang. I don’t even pretend to really understand the theory, just that I know I like it. That cliffhanger ending was so unexpected. I can’t talk about it because of spoilers, but I just kept hoping that it wasn’t true. The last book doesn’t come out for another year, but I am desperate to find out what happens next. Really desperate. If you haven’t started the trilogy then you need to start with The Diabolic. DON’T READ THIS IF YOU HAVEN’T READ THIS BOOK YET. It probably has spoilers in it… but I need to vent. I’ve rated every book in the Twilight series 5 Stars. I also rated The Host 5 Stars. I consider myself a fan of Stephenie Meyer and ignore those that despise her “anti feminist” writing. I don’t read her books for a message, I just enjoy the escape they bring. 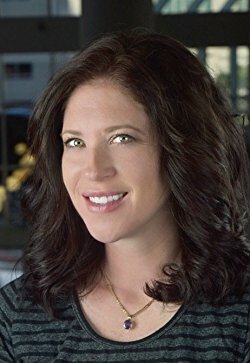 It was obvious when reading Life and Death (a book so forgettable I had to look up its title) that Stephenie’s feelings were hurt by the backlash she received over Edward & Bella’s characterization. She tried to prove herself to her detractors but only ended up disappointing her actual fan base by releasing a book that was pretty sloppy. I thought she learned her lesson with that one. But then she wrote The Chemist. I truly expected to love this book like I’ve loved her other books. It’s obvious that she’s ready to write again. The plot was good for me, and I was gushing about it to my mom when I first started it. Then the romance started. Instead of having Alex fall for Kevin, the guy that she actually seems to have chemistry with (love-hate, but whatever)… she falls in love with the guy that she LITERALLY tortured but he’s OK with that because he fell in love with her at first sight. I could have accepted Daniel as comic relief, or as part of a love triangle, à la Jacob but NO. It felt like, once again, she was trying to prove that she could write a book where the female character is more powerful than the male and it feels forced. Don’t get me wrong. I enjoyed the book. The plot was interesting, and by the end of the book I even enjoyed Daniel. But he didn’t work with Alex, and that was a disappointment. Asher is perfection and he drew me in from the very first chapter. I don’t think I had a single complaint about him the entire book. He’s hot, tattooed, alpha, ex-military… and the list goes on. Sierra is running from her past and she needs a break. Asher is everything she needs but she doesn’t want to let him into her life because doing so will make him a target. Sierra and Asher are good together. I loved the way he took control of her safety and allowed her to have a breather…. even if she didn’t feel like it was safe for him to be with her. He gave her a safety net of people she desperately needed and a place to belong that she could be herself in. She has to decide whether she can accept it or not. All of that leads me to Jacob the hero in LRJ’s next Walker Security book, Falling Under. He is Sierra’s “security” while Asher is out of town and the epitome of the strong, silent type. I love him already and can’t wait for his book to be here. 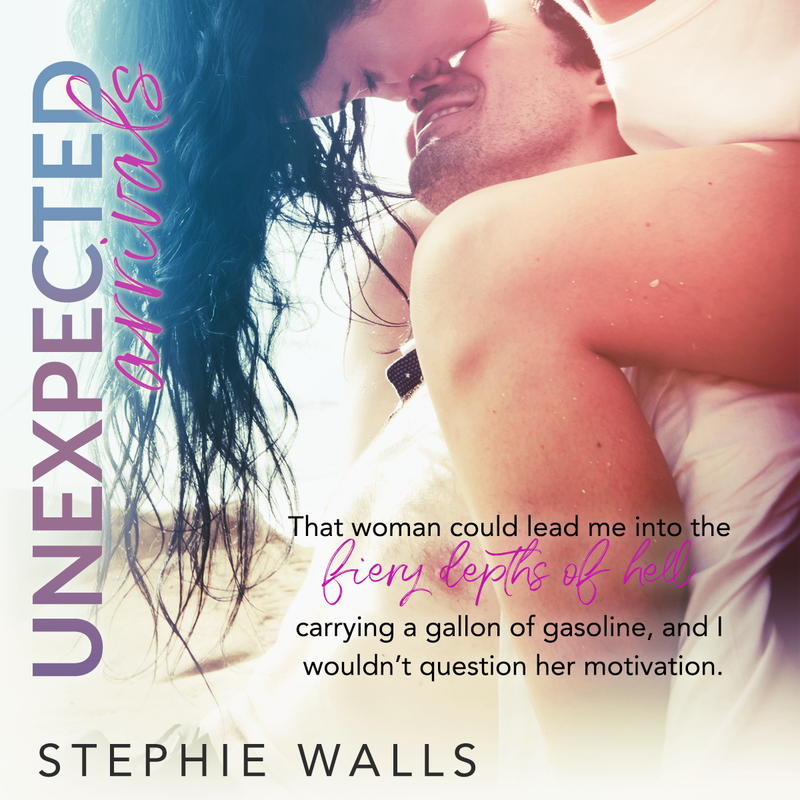 I picked up Unexpected Arrivals by Stephie Walls solely because I just read Third Base and wanted to get to know the authors better. Stephie Walls and Leddy Harper writing together are known as Stella, and Third Base is their debut book together. I enjoyed it so I immediately grabbed copies of each of their new books to try them out individually. 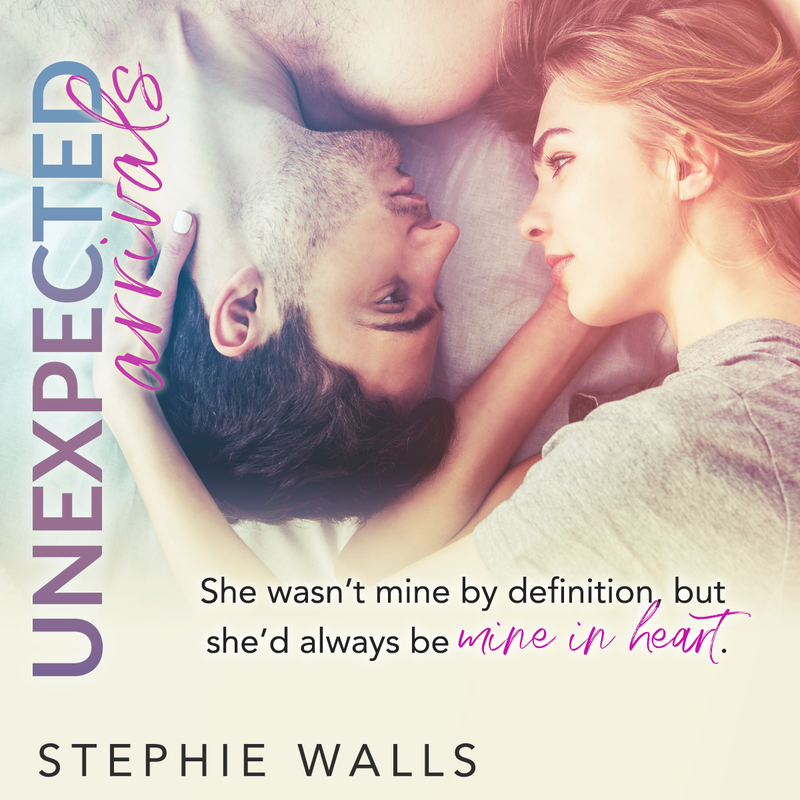 Unexpected Arrivals is an unusual book in that it is told from a male POV for the majority of the book. I liked this change from the usual, unfortunately, I didn’t start to really enjoy the book until we got to Chelsea’s point of view. Chelsea was a doll and I actually enjoyed her point of view so much that I wished she was the *actual* heroine of the story. Cora annoyed me for the majority of the book. It’s not often that I dislike the heroine, and I wish it wasn’t the case in this one. I eventually warmed up to her, but it wasn’t until my feelings about her had already tainted the first 2/3 of the book. I did enjoy the multiple POVs and the storyline was also something interesting that I hadn’t heard before. 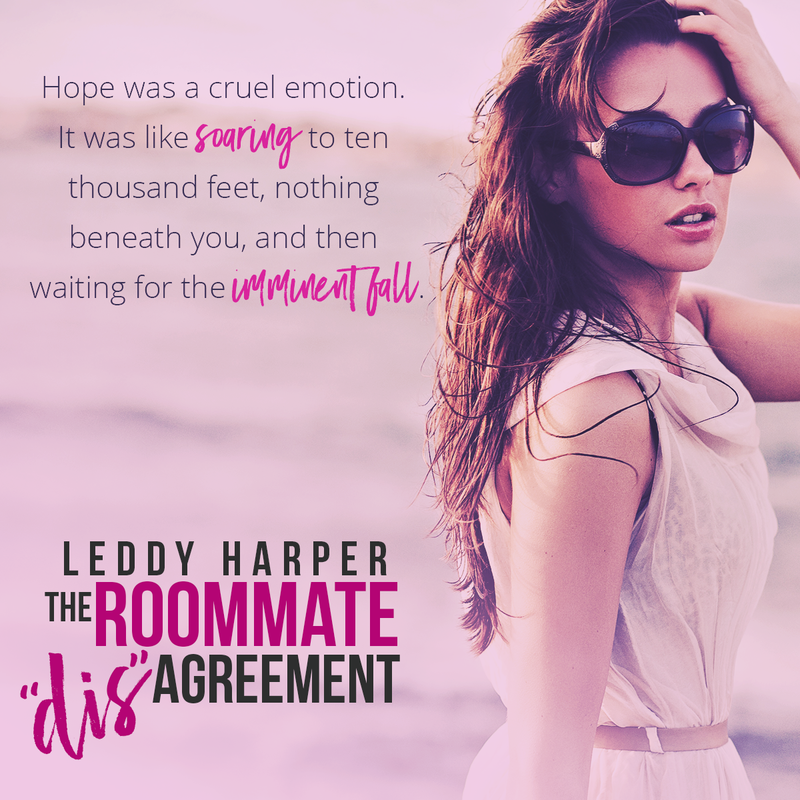 My favorite part of the book was when I realized that Cora & Legend made a cameo appearance in Leddy Harper’s The Roommate ‘dis’Agreement. Those parts that I did enjoy were enough to make me want to keep trying Stephie Walls. I bet her next book will be a better fit for me. laughing hysterically at my melodramatic performance on the front porch. to arrange a paternity test (DNA). handful of times, but she’d quit responding and fell off the face of the earth. much less a stork in the last five years. could forgive a lot, but she’d never wanted children—much less another woman’s. 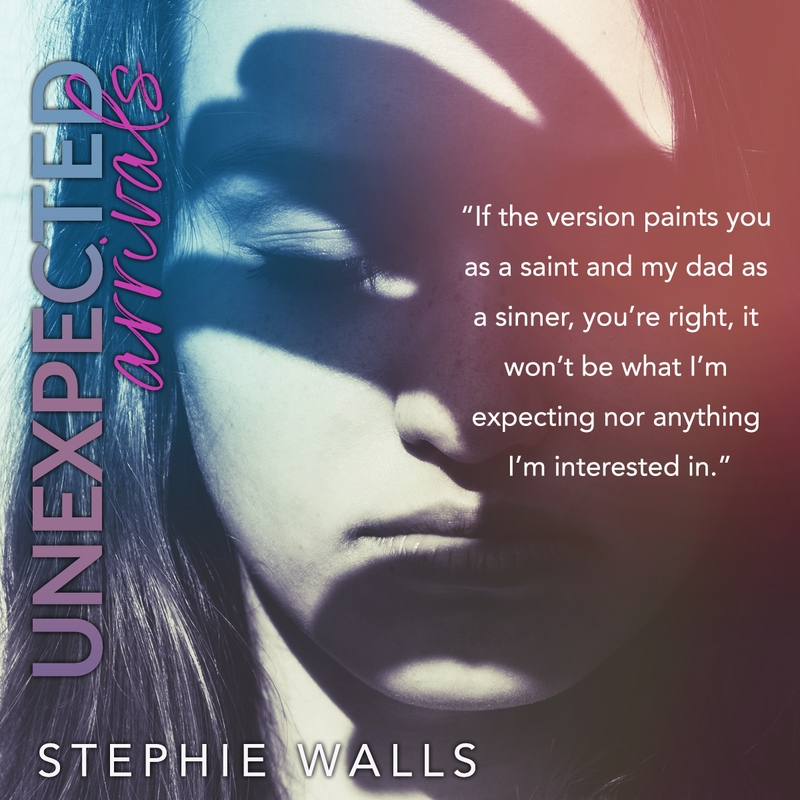 Stephie Walls is a literary whore – she loves words in all forms and will read anything put in front of her. 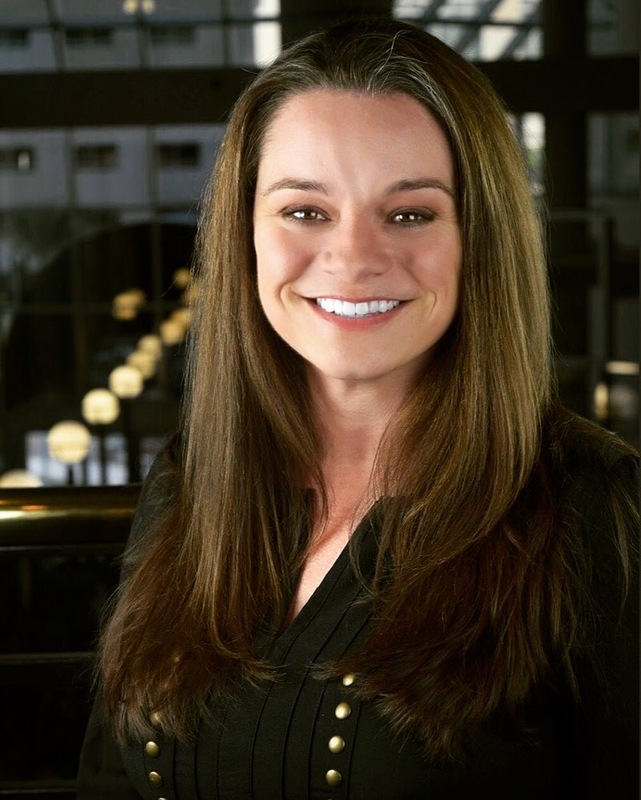 She has an affinity for British Literature and Romance novels and an overall love of writing. She currently has six novels out, four short stories, and two collections; all provocatively written to elicit your imagination and spice up your world. I recently had my first experience reading Leddy Harper as 1/2 of the writing duo Stella (Leddy Harper & Stephie Walls). Their book, Third Base, was enjoyable and made me curious about these two authors. They both have separate books coming out this month in addition to their collaboration so it’s a great time to try them all out. 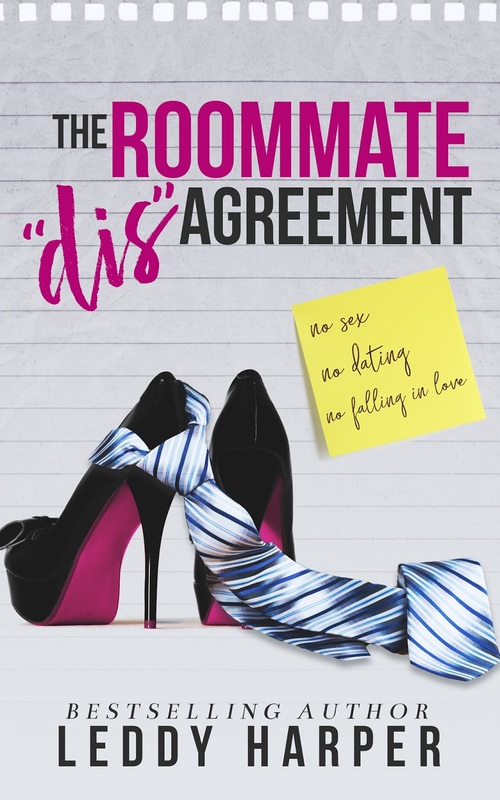 The Roommate ‘dis’Agreement was my favorite book of the three. 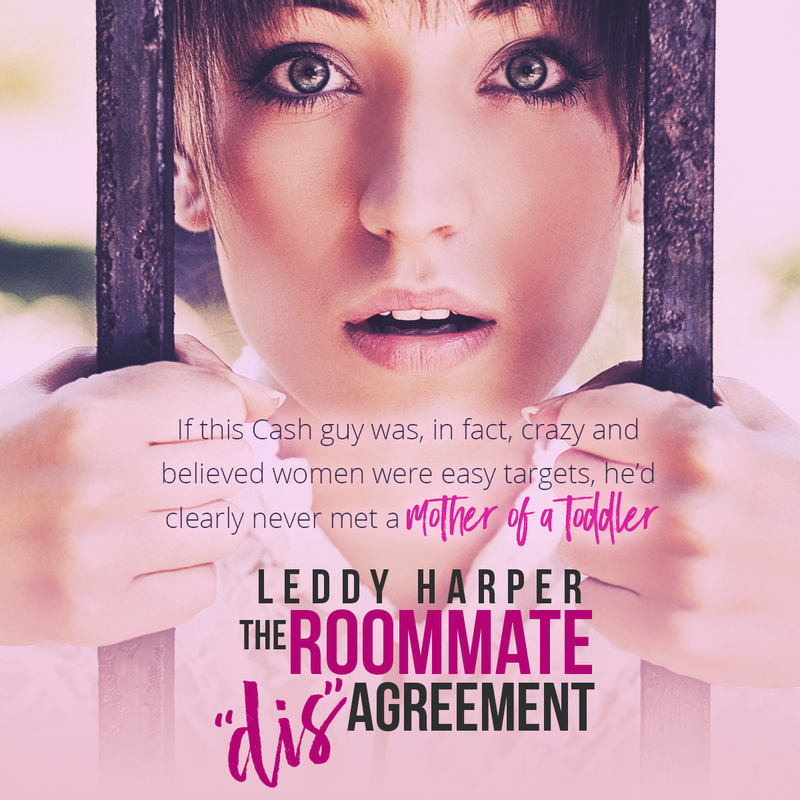 I read it in one sitting and thoroughly enjoyed the relationship between Cash & Jade (& Aria!!!). The dynamics were good and the way Cash cared for Aria was everything. I don’t seek them out, but I always seem to love a good single mother story and this one is definitely on the list. 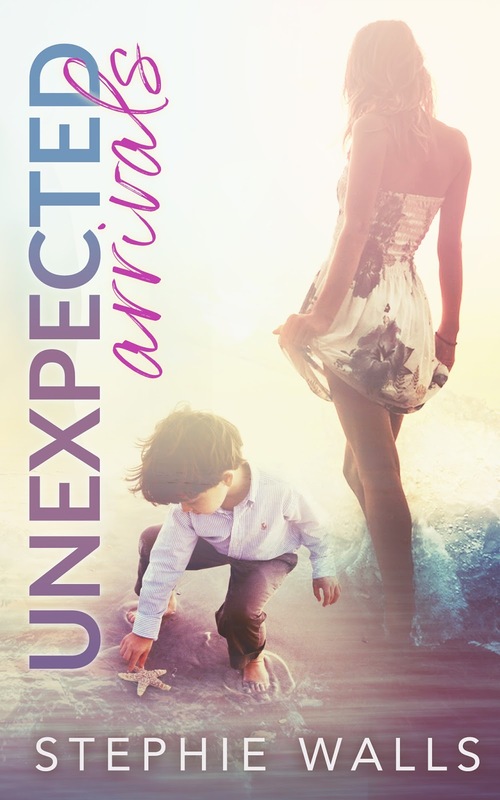 One little gem from the book is that the mother & son that Jade & Aria meet on the beach are characters in Stephie Walls new book Unexpected Arrivals. That was completely unexpected and made me happy. 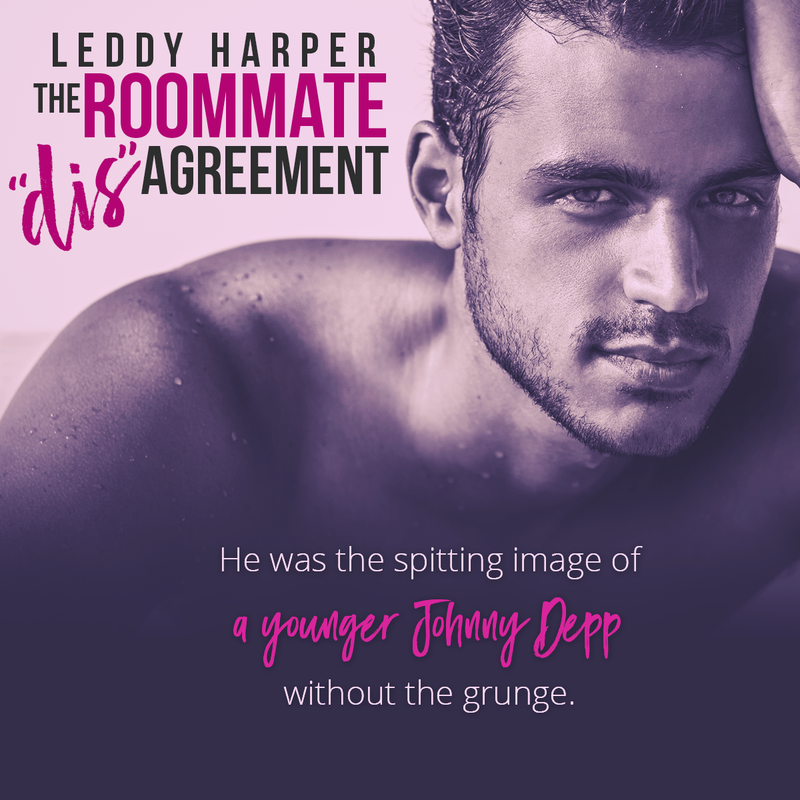 All in all, I will definitely be on the lookout for more books by Leddy Harper. I love Rebecca Zanetti SO MUCH. I think pretty much every time I write a Zanetti review they start out that way, but its the truth. I love the cover for this one. The paperback, not the kindle. I also love that these books easily remind you of the important stuff that has happened in previous books and you don’t have to try to remember what’s been going on. That being said, you do HAVE to read the earlier books to enjoy this. Yes, the romance is standalone, but the overall story arc is definitely best enjoyed in order. Denver’s story has been teased throughout the Blood Brothers series, and it was exciting to finally get to see Denver and Noni together. Their story has been a long time coming and it was every bit as good as I expected. Denver is *by far* the least talkative brother, but he still had his moments that made me absolutely fall in love. This book was sitting on my shelf for 8 months when I got an email from the publisher asking if I would be interested in reviewing the rest of the series. I LOVE binge-reading a full series so I read a couple of chapters to make sure it was something I was still interested in and quickly agreed. The first couple of chapters are good, and I was expecting to enjoy it quite a bit. The problem I had with this book is that everything seems to happen in the first few chapters and then for the rest of the book nothing happens except lots of internal monologue and Maverick trying to convince everyone that he’s not leaving again. I don’t mind internal monologues if they sound authentic but these were repetitive, saccharine sweet and sounded like they came off an extremely long winded greeting card. I’m going to take a break before reading the next one. I didn’t hate the book, I was just disappointed with how it went after having such a strong start. I’m hoping the next one goes much better.